Lavera Vegan Colour & Shine Shampoo contains high-quality organic avocado and cranberry for intense care of your colour-treated or high-lighted hair, giving them natural shine and protection ! 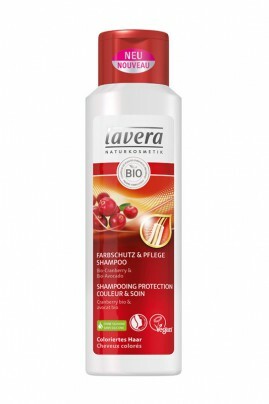 Lavera Vegan Shampoo - Glowy Colored Hair provides long lasting vibrant colour ! Apply Lavera Vegan Shampoo for Colored Hair on wet hair and massage from roots to ends, then rinse abundantly.